WOWEE! 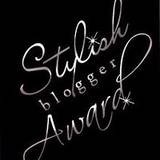 We can do the happy dance together--I'm dancing to Tanya's music over here--for YOU giving me this blog award! Love ya girl! Congrats for receiving the award Gloria! And thank you for passing it onto me...I'll post it on my blog soon! :) Have a wonderful Thanksgiving!!! Thanks Gloria, I never got a blog award before and just getting to this.